Ammonia is the best refrigerant to be used in the food industry. Present in nature, it is environmental-friendly and does not pollute. Zudek uses it for its patented system Zeromatik, that can cool water at a constant temperature of 0.5° with refrigerant at -1 °C, thus saving one third of the electric power. Considering that the ammonia charge of Zeromatik chillers is very low, no special permissions from the Fire Brigade are required for the installation, and there are no emissions of toxic gases. For monitoring purposes, the company offers Telematik, providing for uninterrupted workflow. 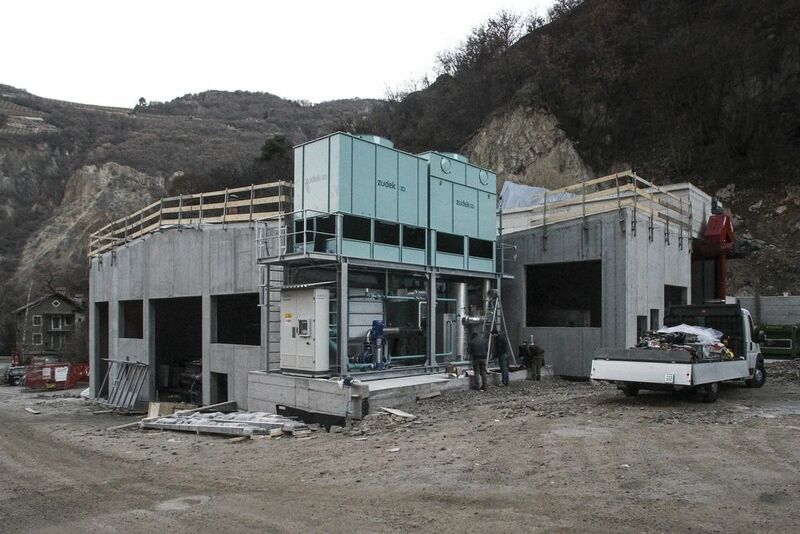 For the meat processing industry, for instance, the company built Enermatik, a system able to catch warm energy and transform it into hot water that is fed to an absorber for the generation of cold power. It is an ammonia absorber that can produce three types of energy electric energy, thermal energy and refrigeration energy. Exploiting dispersed heat at high temperature (80/100°C), it ensures a remarkable energy saving.